Welcome to Advantage Auto Glass, Inc. We are a family owned and operated business. Since 2001 we have enjoyed great success in the Twin Cities due to our extreme dedication to one thing; Customer Service. We believe that Advantage Auto Glass, Inc. can provide a better experience than anyone else in the industry. Our goal is to deliver the highest quality product out there with a hassle free experience every time. We make sure that happens by continuing a family tradition of keeping the owner in the field working along side our employees. I perform installs and repairs on a daily basis along with our lead technician, Dan Pregler, who has been with us since we began. Dan also manages our technicians and the Continued Education Program. Thank you for considering us for your auto glass needs. If you have additional questions, please don’t hesitate to contact us. 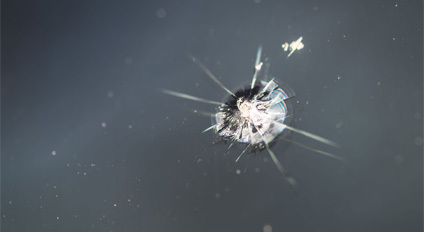 Advantage Auto Glass offers professional auto glass and windshield replacement services to the Minneapolis & St. Paul and the surrounding Twin Cities suburbs. We are a family owned and operated business. Since 2001, we have provided the highest quality products to our customers. We value our customers more than anything else. It is our goal to ensure you receive professional and expert care each and every time. Advantage Auto Glass has a family tradition of keeping the owner in the field alongside his employees. John Wuchko Jr, our owner, performs installations and repairs each and every day. Our team also values education. We ensure our staff is fully up-to-date on the latest techniques. For more information, please call us at (952) 423-6396 or (763) 566-6396 for more information or to schedule an appointment today!